Tony Giordano and his father Sammy have had a strained relationship ever since Tony's childhood. Tony recalls his father being truly happy only when he was strumming his cittern, an instrument whose origins are unknown to the family. 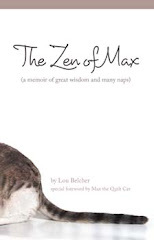 After moving to America to marry a woman he does not love, resentment and bitterness overtake Sammy, affecting all his relationships. The last six months of Sammy's life lead to a confrontation resulting in a discovery that will impact the entire family. Eighty years of family history are explored in this novel called a "mini tour-de-force" by Scripps Treasure Coast Newspapers. 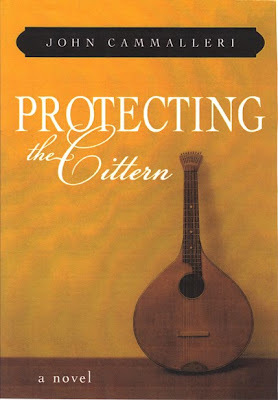 Protecting the Cittern is available at all on-line booksellers, the Vero Beach Book Center, and as an e-book for all electronic readers. John Cammalleri was born in Paterson, NJ, attended Rutgers University, and spent thirty-three years in the corporate world in the areas of finance and logistics. Retiring in 2007, he and his wife, Evelyn, moved to Fort Pierce, Florida, and is a member of the Treasure Coast Writers Guild and the Florida Writers Association.